Wood slices are all the rage right now. They seem to be everywhere. They’re a rustic way to bring a little nature into your home. 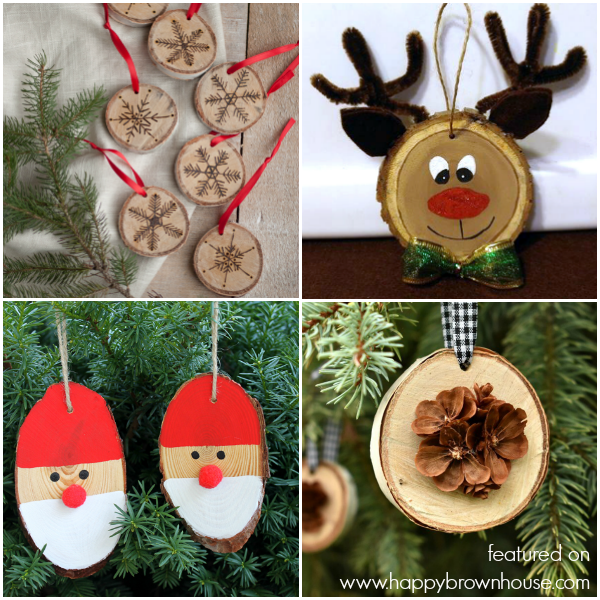 I’ve rounded up a list of 40 Creative Wood Slice Christmas Ornaments you can make this Christmas. If you’d like an afternoon of crafting with your kids, get them to help you make some of these adorable and creative ornaments for Christmas. 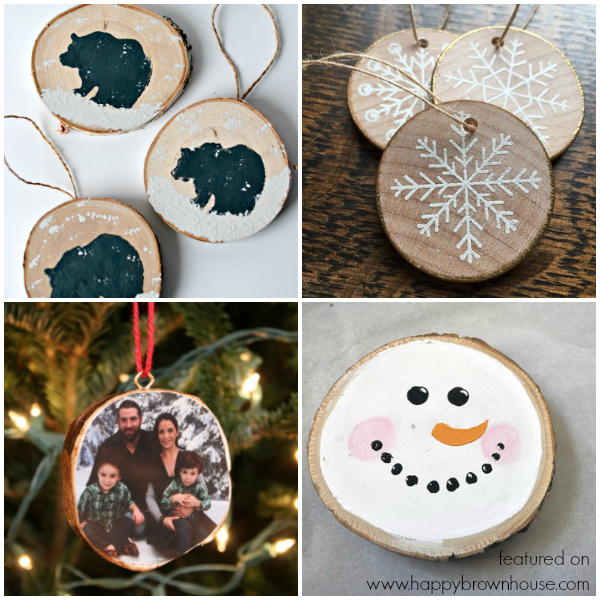 Photo Transfer Wood Slice Ornament | Lovely, Etc. 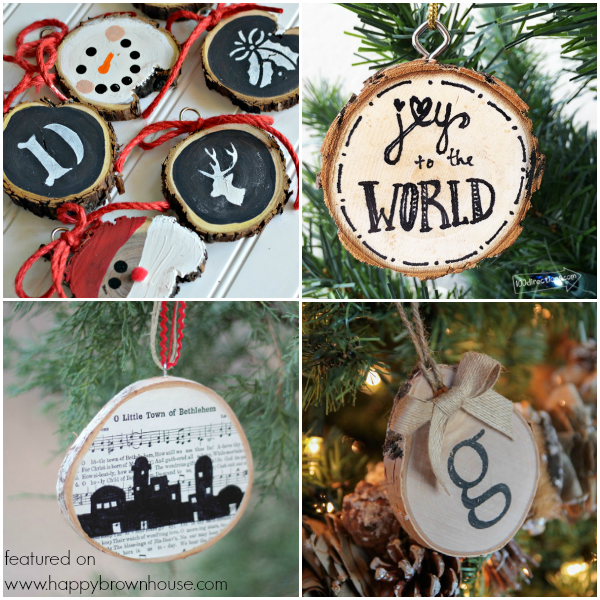 O Little Town of Bethlehem Ornament | Lovely, etc. 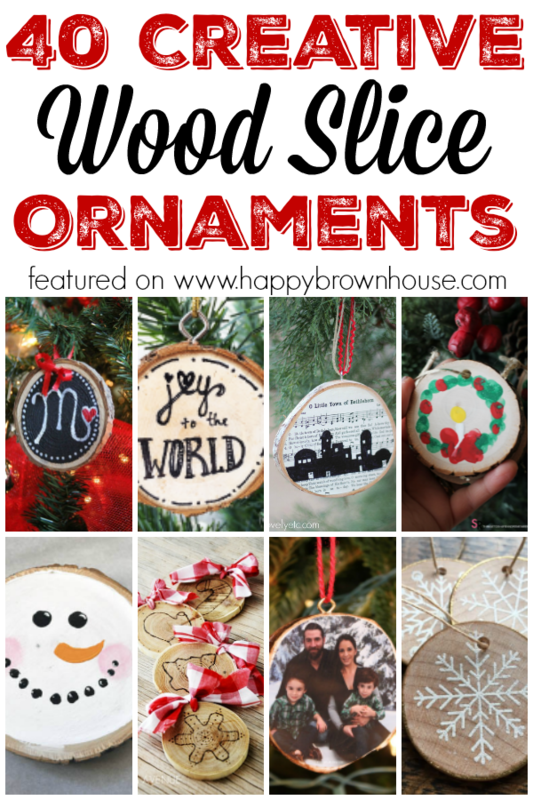 Geometric Wood Slice Ornaments | Sisters, What! 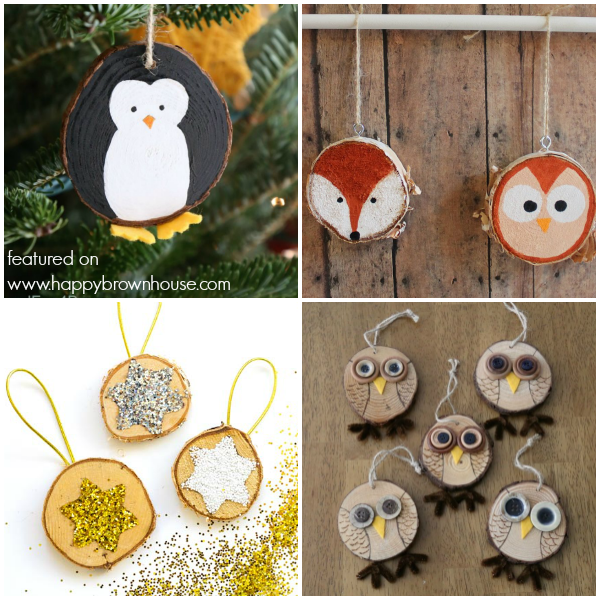 Woodland Animals Wood Slice Ornaments | Sisters, What!